IKEA Canada has some great sales in each store every Wednesday, also known as Wacky Wednesday! 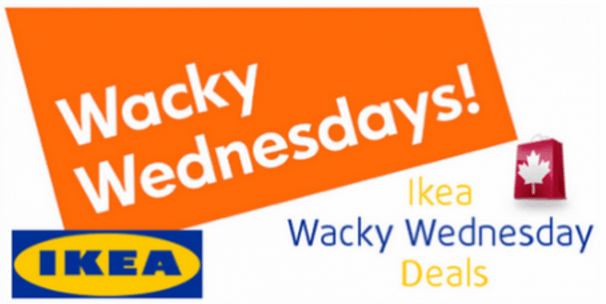 The following list includes the IKEA Canada’s Wacky Wednesday deals and sales that will be valid on Wednesday, March 13, 2019. Check out the list below before you visit your local IKEA store to take advantage of the savings! If your location has yet to be announced, stay tuned for more details! It’s a 1-day only sale and limited to the stock available.